First up, outdoor dads want to explore. They love nothing more than getting into the hills and mountains and have you and the kids question ‘how much further?’. Well, a top quality map will ensure that they always know where they are. Whether they then answer your question truthfully or continue to reply with ‘just over the next hill’, is an entirely different matter. If you want to make it extra special, you can even order a personalised map from Ordnance Survey with a cute family photo adorning the cover. As far as Father’s Day gifts for adventurous dads go, this is sure to be very well received. Next up, on our list of Father’s Day gifts for adventurous dads, we have something for those (very rare) nights when you want to get rid of him and just have the place to yourself. Ladies and gents, I present to you the bivvy bag. These very affordable waterproof covers essentially envelop a sleeping bag, meaning that he can have a night under the stars without the need for a tent. 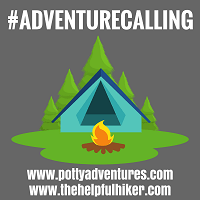 This is true wild camping and he’ll love it! The third of our Father’s Day gifts for adventurous dads is the humble, but highly effective, Wrag. These super-simple accessories can be used in all manner of configurations and will provide protection from everything from the sun to the biting wind and rain. They wick moisture brilliantly, keeping sweat out of your eyes when worn as a headband, when trail running or hiking and can even be worn on the wrist, enabling you to wipe your face. Whichever way he chooses to where it, it’ll make his outdoor adventures more comfortable. 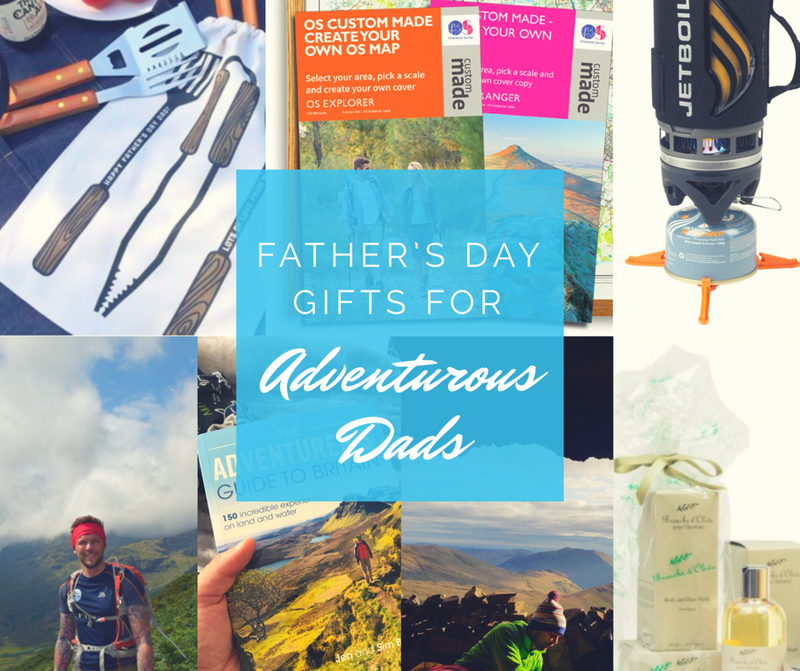 If he’s been particularly good this year and you feel like splashing the cash a little, then number four of our Father’s Day gifts for adventurous dads may just be for you. Introducing the Jetboil Flash: this bad boy can boil water in a mindboggling 100 seconds! Perfect for hikes and overnight adventures, where you want to keep things lightweight but still crave a hot drink or meal, this is very much on my ‘need list’. Compatible with a range of Jetboil accessories, including a coffee press, so the outdoor dad in your life can wake up to fresh filter coffee first thing in the morning after a night under the stars in their new bivvy bag; any adventurous dad is going to be made up with this. Once the outdoor dad in your life gets back from their adventures, there are going to be couple of things on his mind. First and foremost, both he and you are going to want him to freshen up. Let’s face it, coming back from a night in the wild works up a bit of a stink. So, if you want to treat him to a bit of bathing luxury on his return, check out this range by Branche d’Olive. With scents ranging from citrus to sandalwood and thyme, you’ll have him shipshape, de-stinkedand house-ready in no time. So, after returning from his adventures and getting out of the bath, your outdoor dad will undoubtedly now want something to refuel himself. However, being your stereotypical outdoor dad, he’s more of a BBQ and grill kinda guy than a ‘tuck your knees neatly under the dining room table’ man. As such, why not treat him to some new-spangled BBQ accessories so that he can continue to live the outdoor dream with a big, smug grin on his face? You can even get sets that are personalised. Last, but certainly not least on our list of Father Day gifts for adventurous dads, is a good book. And believe me, this is a very good book! After an overnight hiking and wild camping adventure, a soothing bath and pamper, and an epic BBQ to refuel them ready for their next adventure, the outdoor dad in your life will be in need of some further inspiration. A fillip for their next adventurous pursuit, if you will. Well, look no further than this book by the awesome Jen and Sim Benson who have compiled the amazing ‘The Adventurers Guide to Britain’. Filled with every type of outdoor inspiration an adventurous dad could want, this book has 150 incredible ideas to get them outside living life to the full.